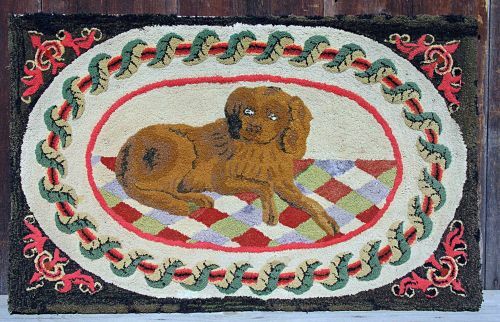 Waldoboro style dog hooked rug on burlap. Mounted and in very good condition with great colors. 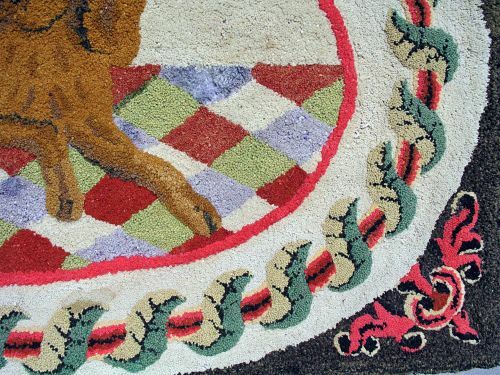 Has had some very minor professional restoration in a few spots. Dimensions: Measures 28" X 44"